If your living room is lacking a focal point, such as a fireplace, then you can provide your own focal point with this lovely, handcrafted chair. Upholstered in brilliant orange embossed leather, this chair will provide both color and texture. 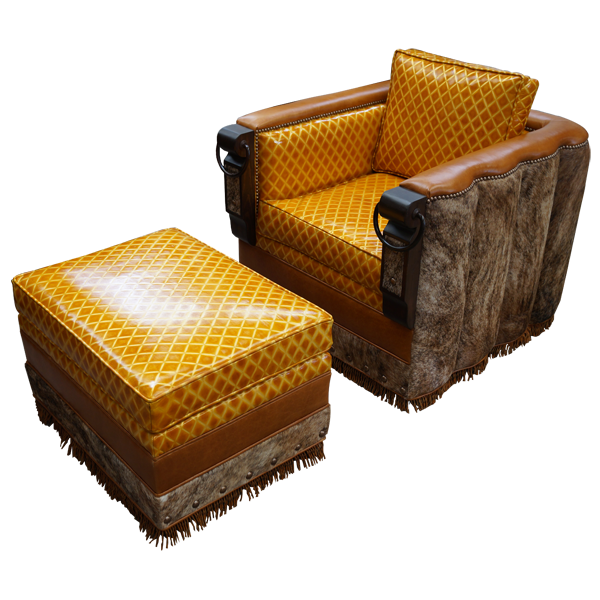 The seat cushion and the inside seat back are upholstered in orange stained, embossed full grain leather. The armrest and part of the lower front of the chair are upholstered in natural full grain leather. 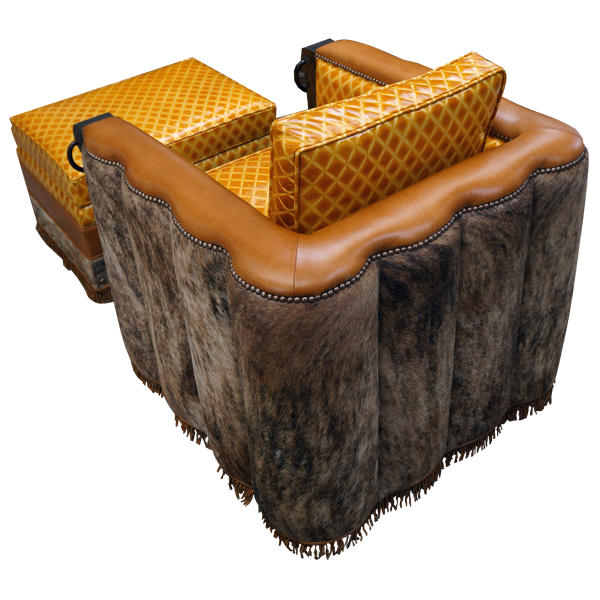 The reverse seat back, the exterior sides, and part of the lower front of the chair are upholstered in patterned, real cowhide. 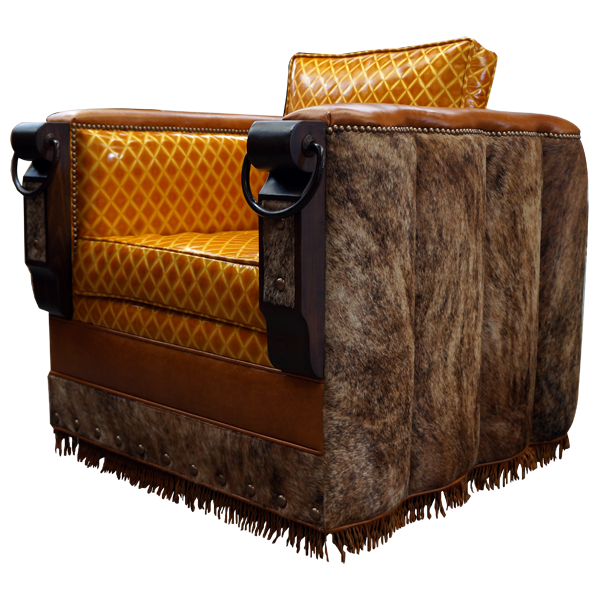 Hand forged iron conchos decorate the front lower base of the chair, and leather fringe is hand tacked to all sides of the lower base. The upholstery is double stitched for extra strength and durability. 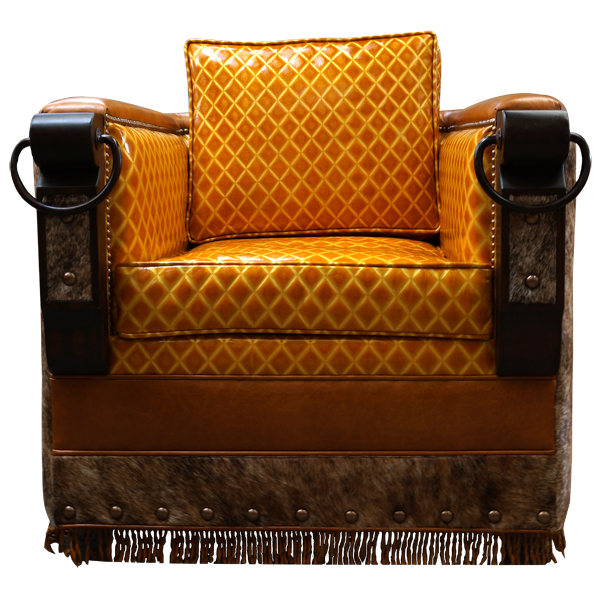 This custom chair has solid wood armrest and vertical uprights, decorated with hand forged iron conchos. Each armrest is decorated with a hand forged iron ring. The chair rest on bun style feet, and its frame is made with the best, sustainable, solid wood available. It is 100% customizable.